An extra 1,000 case workers are to be hired by the Financial Ombudsman to tackle another surge in insurance mis-selling claims. 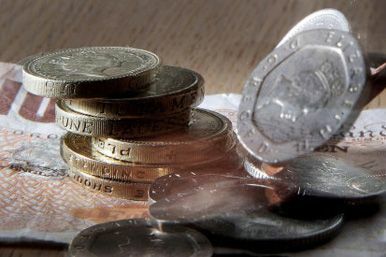 The service has around 1,500 people working on payment protection insurance (PPI) cases but admits it will need more resources after revising its forecast PPI workload for 2012/13 to 250,000 cases, from 165,000. The ombudsman expects to take on another 250,000 new PPI complaints in 2013/14 and aims to resolve an unprecedented 245,000 PPI cases during the next financial year. It said that "delays and inconvenience" which consumers have been subjected to by firms have piled more pressure on its workload. The recruitment drive for the London-based jobs has already started and the 1,000 new members of staff will be gradually taken on over the course of the next year, with the training process taking around three months. The service has already taken on around 1,000 new employees over the last year to beef up its resources to cope with soaring complaints. But it still expects to have to carry over a "significant stock" of more than a quarter of a million unresolved cases into 2013/14 and the new staff members will help it to deal with continued high volumes of new cases as well as whittling down the backlog. Around £13 billion has been put aside by financial institutions to compensate customers for mis-sold PPI policies, and the scale of the scandal continues to surge beyond expectations. Outlining its plan and budget for the next financial year, the Financial Ombudsman Service said: "Businesses we have spoken to have suggested that consumers will continue to bring large numbers of PPI complaints for the next few years - which would mean that PPI is also likely to remain a significant part of our caseload for the immediately foreseeable future." The service previously forecast that it would be resolving around 3,500 PPI cases a week this year - but it is now handling more than 5,000 cases on a weekly basis.